We don’t think of the Midwest as a hotbed of electric vehicle activity, do we? In actuality, the Kansas City area has had electric vehicle owners for 20 years or more. Over the last couple years, the local electrical utility (Kansas City Power and Light) has built up an impressive network of fast charging stations, and now they’ve announced a plan to work with the State of Missouri to install further fast charging stations along I-70 going eastward. The announcement doesn’t make it clear whether it will reach all the way to St. Louis. In my estimation doing so would require 3 or maybe 4 fast charging facilities to enable electric travel between Kansas City and St. Louis. Last year KCP&L worked with ChargePoint to build out a set of 15+ fast charging stations around the Kansas City area. 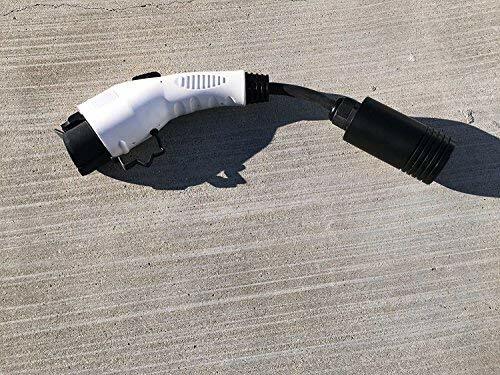 Some are located at the edges of the metropolitan area, and in the case of St. Joseph almost enable inter-city trips making it almost feasible to travel to Omaha using fast charging. St. Louis looks enticingly close, but there aren’t enough charging stations let along fast charging between KC and St. Louis to make it on electricity. Having studied the map a bunch of times, what I’d do is place stations halfway between Blue Springs and Columbia Missouri, then at least two facilities in Columbia, then stations halfway between Columbia and St. Charles. 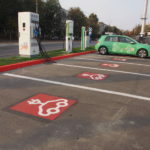 Both the Kansas City and St. Louis areas have several fast charging stations scattered around, including stations at the edge of their respective metropolitan areas. Those existent stations should be leveraged, and newly built stations placed to smartly fill in the gap. Blue Springs to Columbia is 110 miles. Columbia to St. Charles is 100 miles. 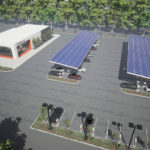 Hence, the halfway point between each leaves sufficient range for even the 80 mile range electric cars to hop from DCFC station to DCFC station and make it across the state. Range anxiety is a thing of the past in the Kansas City metro area, thanks to the 1,000+ electric vehicle charging stations popping up as part of the KCP&L Clean Charge Network . But for electric vehicle (EV) drivers thinking about a road trip out of the region, planning where to charge up has been an ongoing issue. “In an effort to truly embrace 21st century vehicular fueling alternatives… we would welcome and fully enable electric vehicles along the corridor,” said Tom Blair, leader of MoDOT’s Road to Tomorrow program, at a recent press event. I-70 is the nation’s oldest interstate highway, part of President Dwight D. Eisenhower’s Interstate Highway System. Started in 1956, the system’s 41,000 miles of interstate highway was a wonder. MoDOT’s program seeks to see I-70 reborn through innovation and technology. EV Charging Infrastructure, Fast Charging. Bookmark.